Please post as a comment any report you would like to make of Gaza solidarity events and actions, and include links to video footage or other coverage… thank you! It’s great to hear! About 300-400 people gathered yesterday in Brighton in solidarity with the people of Gaza, marched round town. Demonstrations in towns all over Britain, with lots of people in London, throwing their shoes at Downing Street and staying outside the Israeli embassy until late. Phone calls to embassies to demand their countries speak out against Israel’s attacks in Gaza. In the region of 300 people gathered with very short notice in Bristol who then marched and shouted demands for justice and peace as they walked through the centre of town. The numbers grew to perhaps 400 by the end of the march, many people joining along the route. Echoing the comments above, it was the most diverse bunch of people i have ever experienced on a protest. Many people have been driven to protest who would not normally do so, such is the horror with which we witness these events. Daily vigils are continuing in Bristol until further notice. We had a Saturday vigil in Lancaster, NW England, with about 40 people. It was a good mixed group. A lot of passers by were very sympathetic. Only two men shouted against us, both saying “what about the rockets from Hamas”. We had leaflets explaining the longer history of the conflict to put it in context. I hope that this will have helped some people to understand more about what is happening. There will be another vigil next week too. This was just one of the global demonstrations that were taking place that day (and continue everyday). It is heartwarming to see there are still so many poeple in the world who still care for human lives. There was demonstration in blackburn on sunday were a massive 7-8000 poeple took part. Credit has to be given to the blogger who despite knowing of the dangerous situation still continues to risk life to report fairly and correctly at the state of the war unlike the mainstream reporters. Keep it up. in solidarity with the people of Gaza. We keep reading your blog and others and passing on word. anti-war protesters broke into a Brighton arms factory, causing extensive damage. The group entered the EDO MBM Technology plant in Home Farm Road, Moulsecoomb, Brighton, East Sussex in the early hours of this morning. Demonstrators said they were “decommissioning” the site in protest against the killings of Palestinians in the Gaza Strip by the Israeli military. Equipment manufactured at the plant is being used in Gaza by the Israeli air force, part of F-16 release clips. Police officers discovered extensive damage had been caused to the building, computer equipment and precision machinery. UK protesters decommission an arms factory supplying weapons to the Israeli state. Nine activists were arrested at a Brighton weapons factory, EDO, in the early hours of this morning (17th). According to one witness computers and filing cabinets were hurled out of top floor windows as a group of protesters broke in to the factory in the early hours staging a “citizen’s decommissioning” of the EDO-MBM/ITT arms factory in direct response to the killings of Palestinians in the Gaza Strip by the Israeli military. EDO MBM is the sole British subsidiary of US weapons company EDO Corp. From its Moulescoomb base it manufactures laser-guided missiles that have been used extensively in Iraq, the Palestinian territories and Somalia. Over the past week, 17 British universities have staged university ‘occupations’ to express solidarity with Gaza and to demand that their universities extend moral and practical support to Palestinian students. The first sit-in began at the School of Oriental and African Studies in London, then spread to King’s College Londond and the London School of Economics (LSE). They then moved to Sussex, Warwick, Newcastle, Oxford, Essex, Birmingham, Leeds, Manchester and Manchester Metropolitan, Bristol, Nottingham, Salford, Kingston and Cambridge. Student action on this scale has not taken place for several decades, and the recent protests are being seen as the first step in establishing a movement similar to the anti-apartheidmovement of the 1980s. We want to tell Gazans that there are people in the world that support them, and the Israeli government to know that the students of today will not allow their oppression of the Palestinian people to continue. Please spread the word across the blogsphere by providing links to these sites. groups occupied the BBC’s Scotland headquarters in Glasgow. This morning activists from Break the Siege! blockaded BAE systems factory in Middleton, Manchester. Using motorbike chains and D-locks they obstructed the plant by sealing off several entrance points. A banner was also hung which read: ‘BAE profits from the siege on Gaza’. This direct action was a response to a call for a day of action by the No Borders network. Break the siege! BAE Systems Middleton Targeted for role in Gaza siege. This morning activists from Break the Siege! blockaded BAE systems factory in Middleton, Manchester. Using motorbike chains and D-locks they obstructed the plant by sealing off several entrance points. A banner was also hung which read: ‘BAE profits from the siege on Gaza’. BAE calls itself ‘The Systems Company Innovating for a Safer World’ but there is no safety for those under siege in Gaza. BAE systems are the largest arms-manufacturer in the world and are profiting directly by upholding the border regime in Gaza. 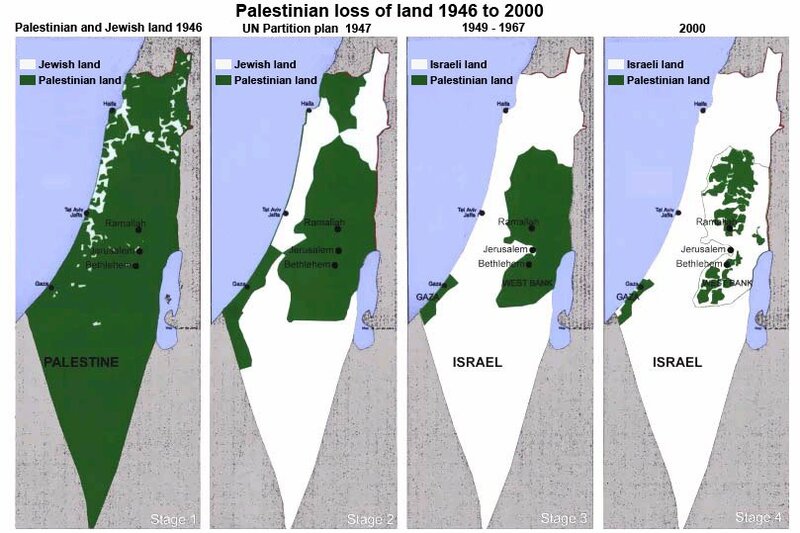 Nearly 1.5 million Palestinians live in Gaza and the population density is nearly 20,000 people per square mile, one of the highest in the world. Over one-half of its residents are children. Despite this, international attempts at providing aid have been denied by those implementing the siege. Movement of people, medical supplies and food has been fatally restricted. People have a right to live without fear, racism and nationalism. Activists on the protest call for an end to border controls and act in solidarity with the international No Borders network. ‘Break the siege!’ also supports groups in resistance on both sides of the border, from Anarchists Against the Wall in Israel, and the “Sarvanim” Refuseniks of Israel, to Free Gaza, and the International Solidarity Movement. This direct action was a response to a call for a day of action by the No Borders network.